Bob Hughes is a Senior Scientist with Amnis Opes Institute and a Courtesy Associate Professor in the Department of Fisheries and Wildlife at Oregon State University. He obtained an A.B. in Psychology & Biology (1967) and a M.Sc. in Resource Planning & Conservation (1973) from the University of Michigan and a Ph.D. in Fisheries (1979) from Oregon State University. Bob is Immediate Past-President of the American Fisheries Society (AFS, 2014-2015) and a member of Oregon’s Independent Multidisciplinary Science Team (2004-present), which reviews state actions for rehabilitating salmon populations and watersheds. He was elected President of the AFS International Fisheries Section (2015-2016), Western Division (2006-2007), Water Quality Section (1999-2001), and Oregon Chapter (1994-1995). Hughes chaired the North American Benthological Society’s Science and Policy Committee (2002-2011), and he was a technical advisor to the Oregon Department of Environmental Quality (1990-1994; 2000-2004), the University of Minnesota’s Great Lakes Environmental Indicators Program (2001-2005), and the U.S. Fish and Wildlife Service’s Klamath River Chinook Salmon Review Panel (2011). Dr. Hughes has served on national advisory committees for the National Ecological Observatory Network (2013), Aquatic Gap Analysis Program (2011-present), European Fish Index (2007-2009), National Research Agency of France (2006), U.S. Environmental Protection Agency (1996-2012), and Water Environment Research Federation (1999-2000). Bob worked as a Visiting Senior Professor at the Federal University of Minas Gerais, Brazil in 2009 and the Federal University of Lavras, Brazil in 2010, and as a Guest Professor at the University of Natural Resources and Life Sciences, Vienna, Austria in 2012. Dr. Hughes has served on the committees of 16 graduate students in the USA, Austria, Brazil, China, and France. 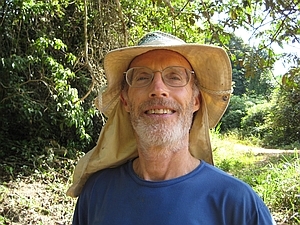 Dr. Hughes is currently aiding professors at 6 Brazilian universities in their efforts to implement rigorous bioassessment programs across 3 states and he is collaborating with the Chinese Research Academy of Environmental Sciences to field test lake, river, and stream sampling methods for subsequent national implementation. From 2001 to 2003, he contracted with the USEPA Office of Water to develop guidelines for state biocriteria. In 1990 to 2000, Bob worked as indicator coordinator working closely with 14 scientists at three USEPA laboratories and four universities, where he designed and implemented a 19 lake pilot study to evaluate indexing and assessment issues for bird, fish, benthos, zooplankton, and diatom assemblages in New England. From 1994 to 1996, Dr. Hughes contracted with 3 federal agencies to develop a strategy for restoring and protecting stream/riparian ecosystems on nonfederal lands. This responsibility included tracking the work assignment, preparing the technical proposal, and writing portions of the strategy. From 1992 to 1996, Dr. Hughes supervised five team leaders and 50 contract staff. In this position he suggested new areas of research, acquired project funding, designed studies, prepared research protocols, supervised field crews, analyzed data, and prepared reports and peer-reviewed manuscripts for publication. He administered the budget and was responsible for hiring, travel, training, employee evaluations, and counseling, as well as for applying corporate policies and quality assurance and health and safety protocols. Dr. Hughes has over 30 years of experience in making biological assessments of streams, lakes, and rivers across large geographic extents in various parts of Asia, Europe, North America, and South America. He has used his expertise to develop and evaluate indicators for the USEPA’s Environmental Monitoring and Assessment Program (EMAP), to evaluate ecoregions, and to generate biological criteria. He also has extensive experience in sampling and analyzing data of benthos, sedimentary diatom, zooplankton, and periphyton assemblages. His experience includes sampling in small streams and ponds, as well as the Great Lakes and large navigable rivers. Dr. Hughes was a key member of the research team that developed and field-tested the ecoregion concept that led to the map of the ecoregions of the United States. He co-chaired the National Workshop on Instream Biological Monitoring and Criteria in 1987, co-authored EPA’s Rapid Bioassessment Protocols for Fish and Benthic Macroinvertebrates in 1989 and its EMAP Field Protocols for Fish Assemblages and Fish Tissue in 2006, and provided technical expertise to the EPA’s Steering Committee on Biological Criteria 1988-1990. Dr. Hughes has edited five books, authored over 175 peer reviewed publications, and given 33 and 57 invited presentations at national and international meetings, respectively, in Australia, Europe, South America and Asia. He received the 1995 ManTech President’s Award for Excellence, the 2006 Environmental Stewardship Award from the North American Benthological Society, the 2010 Award of Special Recognition from the AFS Western Division, the 2011 Fisheries Worker of the Year Award from the AFS Oregon Chapter, the 2013 AFS Distinguished Service Award, and 2 Fulbright Scholarships (2007, 2010).